I know not many people read this site, but for the few who do, I'm informing you that I am retiring it. At least, for now. I liked this site at first, but, over time, it became unfocused and I lost interest. Posts became few and far between. So, it's time to retire this site for the foreseeable future. All is not lost however! I have found that I have much more to say about writing and storytelling in a variety of media than any other topic. Because of this, I have created a new site which I am writing on regularly. It's called The Written Tale and if you enjoyed my writing here, you can continue to read it there. If you've read this blog before, you've probably noticed that the layout has recently been redone. With an updated design system and many more layout options in Blogger since I first created this blog, I decided it needed some sprucing up. This is the result. The color theme is about the same, but the layout has been modified. Basically, Lost In Neurons now comes with more boxes! Please, let me know in the comments what you think of the new look. When people first start playing with image editing software, they soon discover that they can invert the color of the image. They'll play around with this for awhile and then move on after their bit of fun. Last year, I got it in my head that it would be neat to try inverting the brightness of an image without messing with the color. This turned out to be much more interesting than a normal inverted image. It's the return of The YouTubes, where I share my favorite YouTube videos. This isn't going to be a regular event, but just for when I feel I have a good amount to share. This post was a blast to write, because I got to go back through my YouTube video favorites and rediscover great videos. I hope you enjoy them as much as I did. A few years back, when I bought the parts for my current computer, I had a choice to make. Did I want a quad-core processor running at a slower speed, or a dual-core running at a faster speed? 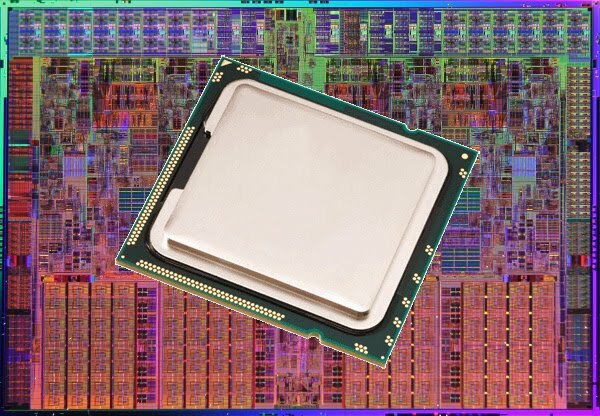 Because most programs back then, and many now, weren't mult-threaded, I chose the dual-core for the faster single core speed. I'm happy to say, it has served me well, and I've barely noticed a hiccup in any programs ever. For most of my computer's life it has never crossed my mind that I should upgrade it. In fact, I've upgraded nearly everything else, but my processor. Recently, I've been thinking that it needs an upgrade. Over the past few months, my processor has started to show its age, but in an unexpected way. Honestly, my current processor would work perfect for most people. However, my demands on my computer have changed, and I've started editing video. Above is a screenshot of the encoding time of a 26 minute video I edited. It took 5 hours for my computer to put the video together, and that's with me compromising; using only single pass encoding. If I used what I wanted, two pass, it would roughly double the encoding time to 10 hours. That's an incredibly long time to wait for a video to encode, and it has me wishing for shorter encoding times. While a lot of programs don't scale well with more CPU cores, video encoding does. The encoding process lends itself well to multi-threading, where each video frame can be processed independently from the others. All good video encoders today use this technique, spreading frames around to be processed by all cores simultaneously. What this means is that if I upgrade from my dual-core processor to a quad-core, this should theoretically double how many frames are processed per second while encoding. This would half the encoding time. While being twice as fast probably will not happen, I'm convinced it will take at least 2 hours off the shown 5 hour encoding time. One thing that's become more visible lately is the installation of DirectX. Thanks to Steam, this has become a lot less translucent to consumers and more in your face. Below is an example of what I'm talking about. After downloading the King's Bounty demo, and starting it for the first time, I am forced to wait for DirectX to install. You can understand how this frustrates some people who want to know why DirectX is installed again and again, even though it's already been installed. The truth is, DirectX, which powers most Windows games, gets installed almost every time you install a game, whether it's a Steam game or not. What most people don't know is that this has been true for years. While Windows comes with DirectX already installed, that doesn't mean it's updated to the version the game needs. This means developers need to update DirectX themselves if it's necessary. That's where the DirectX installation that you see with every new Steam game comes in. This installer checks to see if the computer has the correct DirectX version and components for the game. If your DirectX needs an update, it will install the update before launching the game. 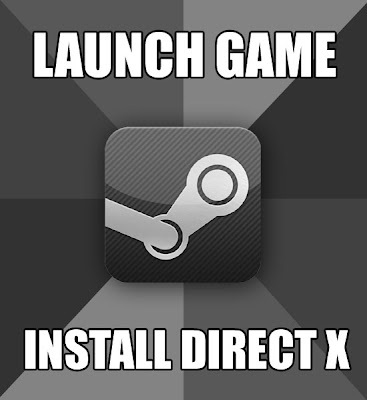 If your DirectX has what the game needs, the installer will leave DirectX alone and install nothing. So really, it's more of a check and install, instead of just a straight up install. The last thing to talk about is why you don't always see DirectX installed with retail games. While some games that seemingly don't install DirectX truly don't install DirectX, most do, but in silent mode. The DirectX installer that Microsoft releases can be told to install quietly, without bugging the user with an installation wizard. This is what Steam uses. It installs in silent mode, so you don't have to click through an install wizard. While it runs the installer, it tells you what it's doing with the dialog box pictured above. So, next time you get impatient waiting for Steam to install DirectX, just be glad you don't need to update it manually. 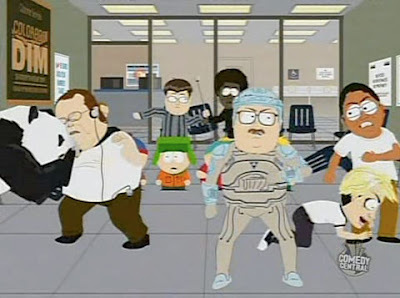 I've been on, what I suppose you could call, a hiatus for the past couple months. Life happened, my health hasn't been the best, and in the midst of it all I lost my motivation. Just thought I'd let anyone still hanging around the site know I'm alive and plan to start writing again as soon as I can muster something up. In other news, my brother's blog, A Green Mushroom, is doing well. It even got mentioned in a Massively article. I'm proud of him, staying motivated when I can't. Great work bro!